Jacksonville is far from a perfect city, as even the happiest of residents will easily admit. While there are many positive aspects of living in Jacksonville, there are also a few cons. Public transportation as a whole seems to be weaker in southern cities, but the issue seems to be more prominent in Jacksonville than in others. The city's public transit is inherently weak, even when compared to other southern cities like Atlanta. Part of this is due to Jacksonville's sheer size. After all, it is the largest city by land mass in the continental United States. This issue goes hand in hand with Jacksonville's public transportation problem. If you plan on moving to Jacksonville, you'd better have a reliable car. The sheer size of the city means you'll be racking up plenty of miles unless you're fortunate enough to live close to work. Most of the city is not very friendly for walking and biking, although there are a few exceptions, such as Downtown, San Marco, Riverside, and Avondale. If you're an outsider trying to paint a mental picture of the situation, consider Jacksonville not as a large city, but as a collection of small towns. 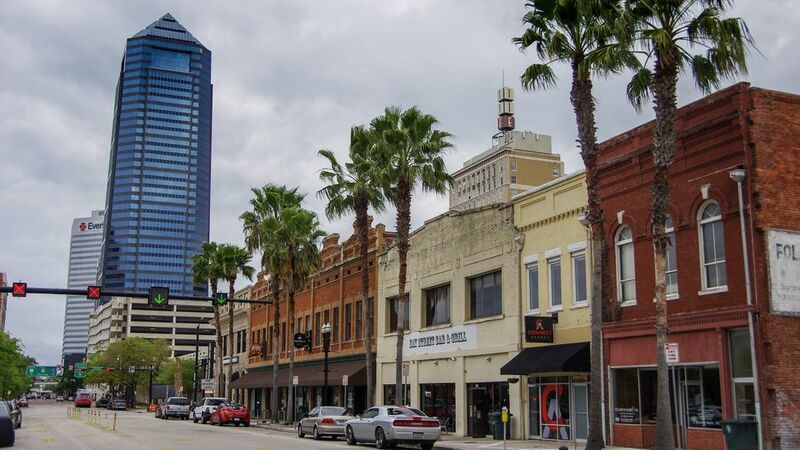 Jacksonville's economy, not that strong to begin with, has struggled to recover from the Great Recession in 2008. Unemployment remains high, fluctuating around the 10 percent mark, and pay is dismally low in some key industries, comparatively speaking. Jacksonville is only home to three Fortune 500 companies: Winn-Dixie, CSX, and Fidelity National Finance. While the area is somewhat of a hub for financial and banking industry jobs, there's not much else, particularly in the tech field, with Web.com being the only major Jacksonville-based tech company. One person referred to the city as the "Call Center Capital of the Southeast." Crime in Jacksonville appears to be improving, but it's still too high. For 11 straight years, the city received the dubious distinction of being the murder capital of Florida, until being unseated by Miami in 2011. Still, crime in Jacksonville, while relatively high overall, is not rampant. As with all cities, there are areas and neighborhoods with relatively low crime rates, as well as those with high crime rates. Although the city elected its first African-American mayor in 2011, one cannot deny the city of Jacksonville's history of racial tension, which still seems prominent on some levels. Hemming Plaza, the city's first park, was home to the infamous "Axe Handle Saturday" in the 1960s, an event involving the attack of numerous black protesters by some 200 white residents. Duval County schools generally rank at the bottom or near the bottom in major categories, including test scores and student achievement. The middle and high schools tend to fare worse than the middle schools. Although there are certainly some bright spots, education in Jacksonville could use some major improvement. Jacksonville, for the most part, is politically and socially conservative. Some residents consider this a positive aspect of living in Jacksonville, while others consider it a con. All in all, it depends on your social and political outlook.